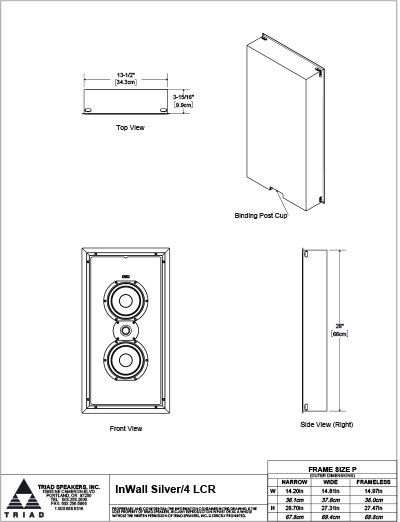 The philosophy of a completely enclosed and fully engineered inwall speaker is epitomized in the InWall Silver/4 LCR. 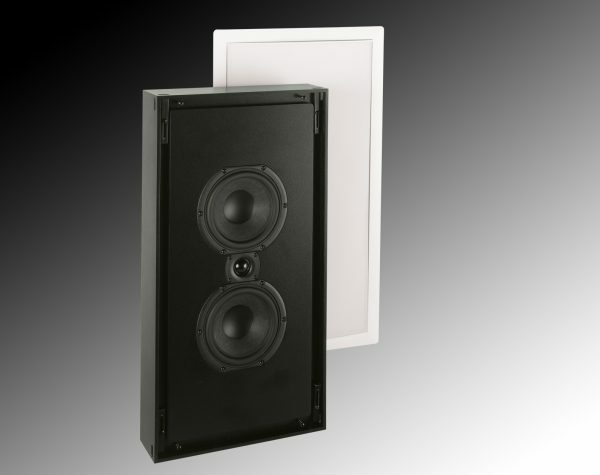 Where only 4″ of wall depth is available, this speaker performs at the same high level as its inroom version. At Triad, we don’t believe inwall should mean not as good. With the same driver compliment as the InRoom Silver LCR, the InWall Silver/4 LCR yields a significant increase in sensitivity and power handling for a more effortless home theater experience. In a high-output speaker, a real cabinet not only ensures predictable results, it offers superior isolation. Conventional open back speakers will bleed into adjacent rooms, and blur the sound in the listening room, as well. When used with Triad Subs and Triad Surrounds, the result is exceptional performance on both music and movies, whether used with a modest A/V receiver, or premium separate components. Triad AcoustiPerf Frameless Metal Grill.